Hats off to the Lottery and the team they helped bring together. As IVAR’s Head of Research I get to put together a lot of our research teams. I love doing it and then watching what they come up with and how they gel both professionally and personally. The team that runs together in the early morning before delivering a fabulous workshop in the hills of Cumbria or the one that discovers a shared passion for forum theatre. The ‘A Better Start’ volunteering research team is particularly special – a unique partnership between IVAR and Parents 1st. Seven fabulous women – a doctor who decided to swim upstream and see if she couldn’t do something to prevent some health issues happening at all; a former lawyer who redirected a forensic eye for the detail to researching and enabling parenting peer support … I could go on. Together we have spent the last 18 months or so responding to 13 questions about why and how volunteers can support parents during pregnancy and the early years of raising a child and in doing so contribute to improved child development. Where did the 13 questions come from? They were set by the Big Lottery as a direct response to five ‘A Better Start’ parenting programmes that they fund. The programmes said that they urgently needed an evidence base to help them set up volunteering schemes to achieve outcomes for children. And rather amazingly and with an elegant simplicity, the Big Lottery Fund commissioned an evidence review that would do exactly what it said on the tin: look in the literature for answers to all 13 questions and then take those answers back to the five ‘A Better Start’ programmes. So how did we go about it? And what made it special? Celia Suppiah, CEO of Parents 1st who led the team used her experience and authority to make sure that we always focused on outcomes for children; and that we looked for counter narratives as well as the ones that endorsed volunteer support. When we uncovered gaping holes in the published literature, the credibility of the team meant that our call for practitioners to send us their unpublished reports and documents got a terrific response – the call went to 120 organisations and 34 separate documents worth reviewing were sent in. 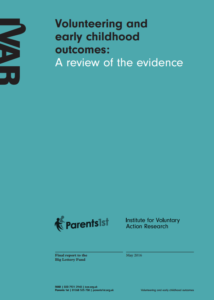 We returned an evidence review to the Big Lottery Fund that argued that, for this kind of work, a large-scale quantitative study is not superior to small-scale qualitative research. They are different, they help us understand the world in different ways and therefore need to sit alongside one another. We asserted that a ‘hierarchy of evidence’ would be unhelpful. The Big Lottery Fund listened and agreed. Read – If you read Volunteering and early childhood outcomes: an evidence review, you will find a set of principles for developing volunteer support; typical features of such interventions; and, whether you are a volunteer, practitioner or commissioner, a set of messages tailored to your role. Join us – We are meeting with commissioners to help them work out how to support volunteering alongside statutory services. We know it’s not always easy so we want to use our experience of cross sector partnership working and commissioning to help. Engage us – We know that the evidence review on paper sometimes isn’t enough. 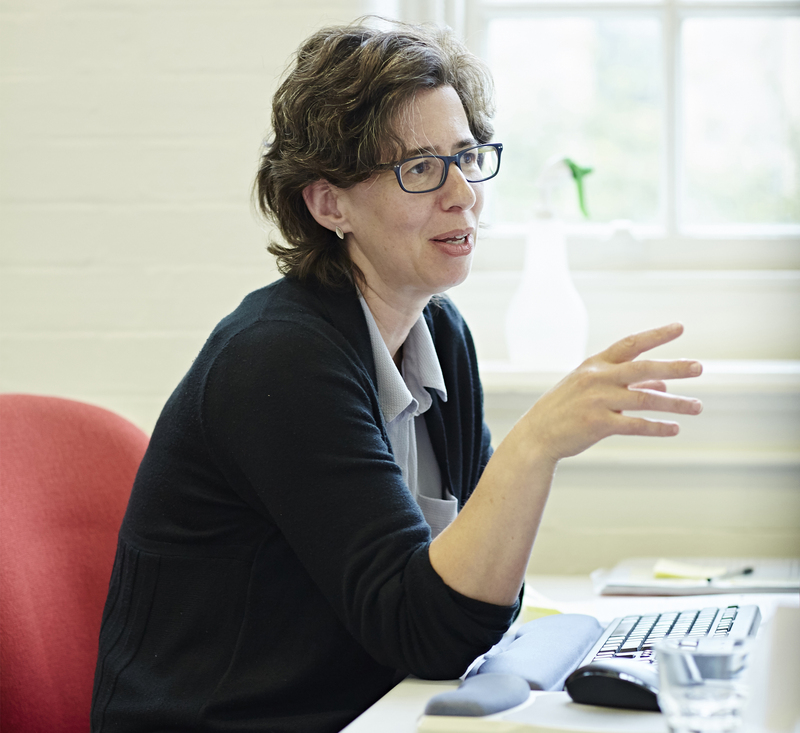 We can support you to plan and implement a volunteering programme that builds on the evidence.